I want to love Hourglass. I really REALLY do. I think some of their products are amazing, and others… are a hit or miss situation. I’ve tried the lip stain and cheek stain and ended up returning them but their eyeshadow duos? Just lovely. You know how you read on a beauty blog or watch a YouTube video and people describe the eyeshadow as “buttery”? I never really understood that until I touched these shadows. It’s like touching the softest most luxurious powder. Smooth and pigmented. It’s worth the high price tag for sure. It comes with a small brush which is usable but I just prefer to use my standard brushes simply because a tiny brush means it’s all up in my eye and it’s a bit hard to maneuver. 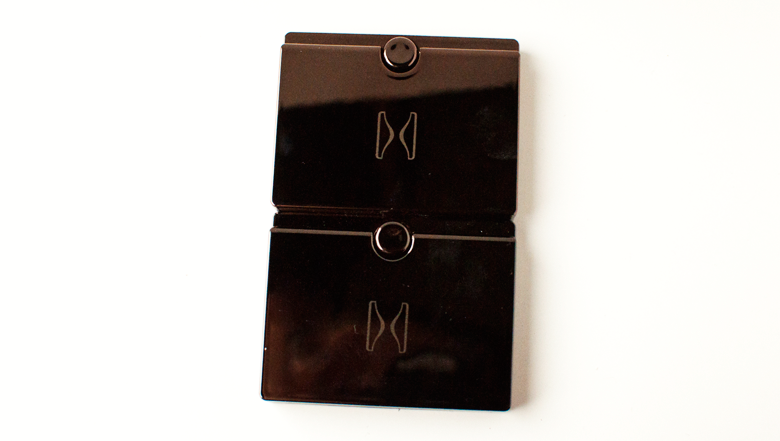 The mirror swivels. Why? I have zero clue. I could maybe understand on a larger palette but an eyeshadow duo? I don’t get it. 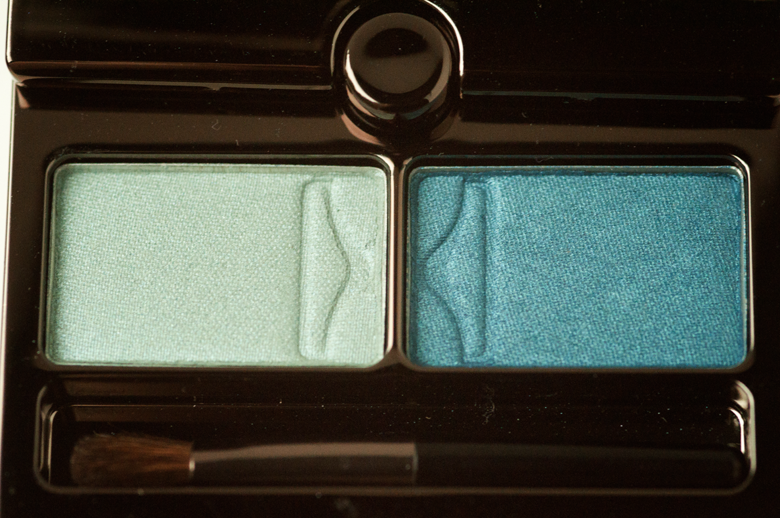 I was a bit sad that the lighter minty blue shade of the Lagoon duo just… it’s a bit sheer for my tastes. 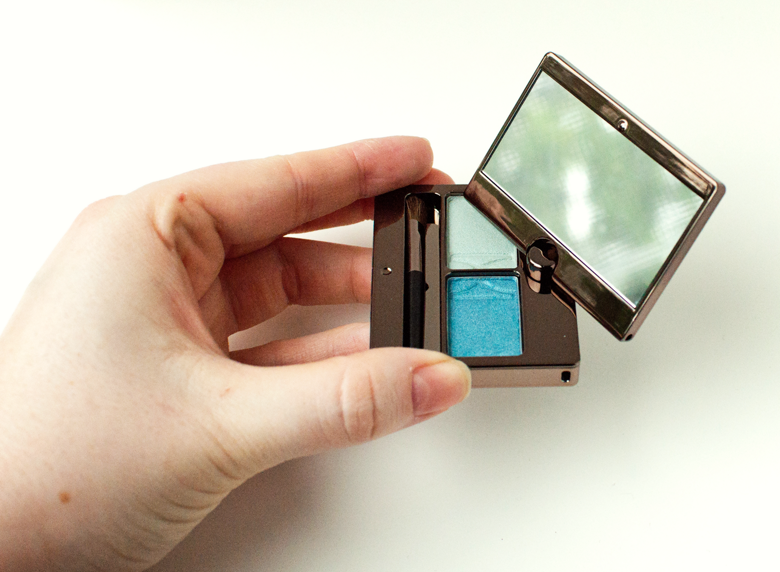 It can be built up but compared to the brighter blue side that you barely have to touch to get uber pigmentation? A bit of a let down. Thankfully the Exhibition duo doesn’t have such an issue. I really want to get more of these duos but due to the $38.00 price tag, it’s going to be awhile before I’m able to do so! That’s such a bummer about the sheerness. I really hate that too- don’t give me one great shadow and then chince out on the second one. The darker shade is beautiful though! And I love the neutral one. Yeah, that made me super cranky but I LOVE the deeper shade so much so I won’t return it lol! I have been in love with Exhibition for awhile now! It just looks like the easiest, peasiest neutral duo ever! Buttery, indeed! :) I was kind of hoping these were terrible. Is that bad? LOL! LOL I feel you! The price… is painful. Especially for a duo. A trio? I can accept more than $30 but a duo? $25 tops would be my happy place. Randomly, but sort of related, do you have any favorite matte eyeshadows? 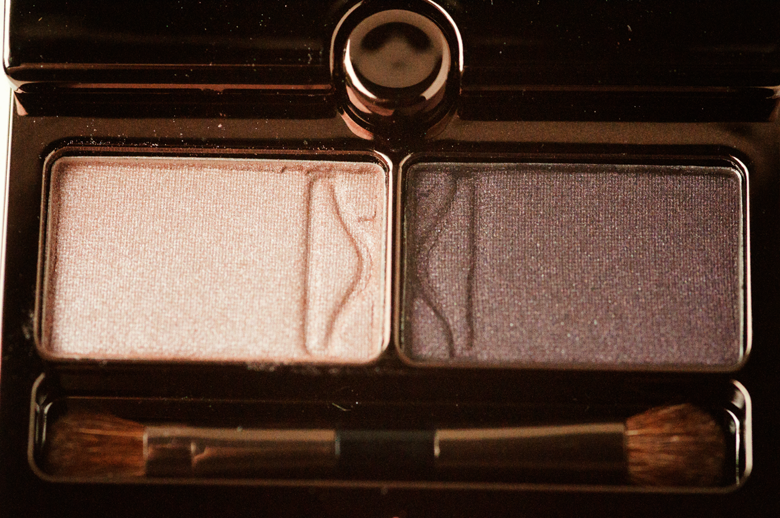 I don’t have any I would call a favorite except for the Make Up For Ever #92 Eyeshadow (purple, of course!). You should try Dune next! I don’t even know if I should be happy or sad that there are only 6 of these in the line-up. I guess that saves me some money because I kinda want them all!